Carefree living at it's BEST! Enjoy the beautiful views of the Lynx Golf Course in your backyard. 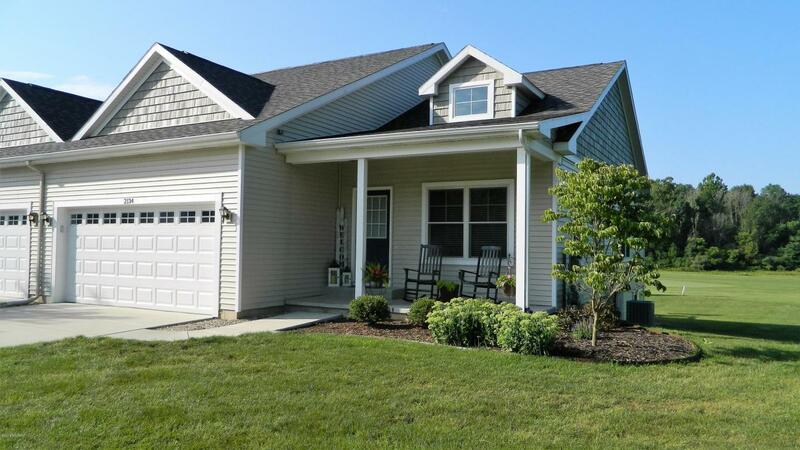 Duplex condo home located near fairway 7, 3 and 4; towards the end of Petoskey Drive turnaround. This home also has a view of the pond, along with the best sunsets in West Michigan. Open concept living space from kitchen, living to dining area. Main floor laundry room and half bathroom. Large master bedroom with on-suite bathroom and walk-in-closet. Lower level has large family room, bedroom and huge space for storage needs. Association amenities include heated swimming pool with bathrooms & shower in the area. Volleyball court, basketball court, snow removal, curb side garbage pick up, outside windows get washed/cleaned every year, and you never have to cut grass again! Call Debbie Russell-Lambert at 269-760-9481 to view.